With compositions by Barron, Clark and Harrison, not to mention Henderson's wife and daughter, Be Cool recalls the title of the trumpeter's previous album, Collective Portrait. "I like my albums to have a wider scope than to just be a self-portrait of my musical taste," he explains. "This really is a collective portrait with a much wider spectrum of music. That's the nature of the game: you always want to grow each time you play, rather than just sit back and play what you feel comfortable with." 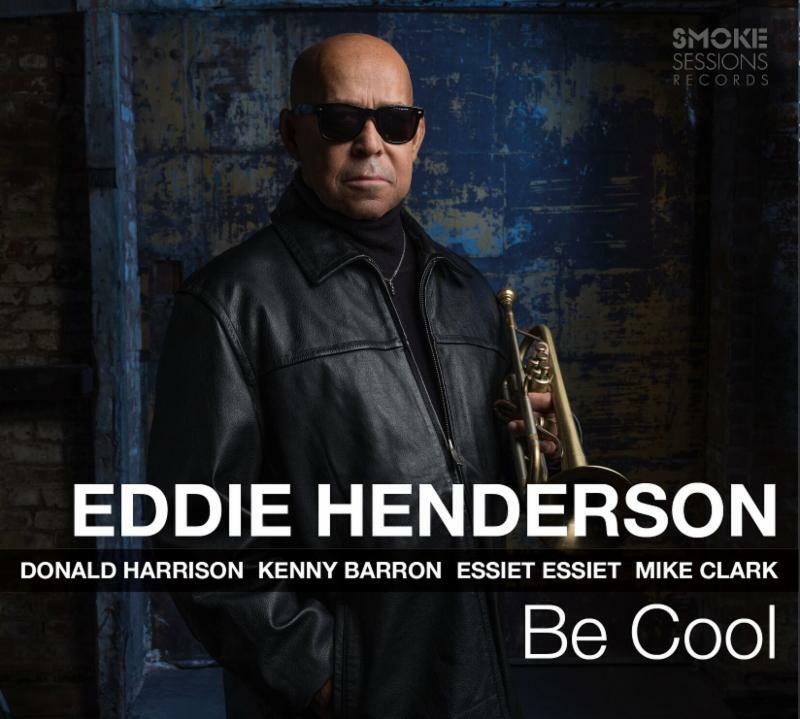 Henderson asks the same of his sidemen; hence, Barron's uncharacteristically funky "Smoke Screen," which opens the album on a lively note. "Usually you don't hear Kenny playing funky like that," Henderson says. "He's a consummate pianist and a consummate trio player, but he really rose to the occasion on this Horace Silver-type tune." Penned by Henderson's wife Natsuko, "Be Cool" follows, its anthemic melody echoing her titular words of warning. A true family affair, the album also includes a contribution from Henderson's daughter, Cava Menzies -- the mysterious "Nightride," its intriguing contours enticing searching solos from the trumpeter as well as Harrison and Barron. The familiar standard "After You've Gone" is usually played up-tempo, but Henderson transforms it into a poignant ballad, reimagining the classic melody as a funereal memoriam for lost loved ones. "Every time I play that tune people in the audience have tears running from their eyes," Henderson says. "Maybe they're remembering people they've lost. Sometimes it reminds me of my mother who passed and it's hard for me to finish playing the melody." Clark's "Loft Funk" restores the buoyant mood with its gritty, deep-in-the-pocket groove. In the Wolff & Clark Expedition the song is typically taken at a breakneck pace, so Henderson opted to slow it down and evoke the taut pace of contemporary hip-hop. Henderson brings a similar feel, albeit with a more slippery melody, to his contribution, "The Sand Castle Head Hunter," highlighted by a captivating Essiet solo, exquisitely paired by Clark's coloristic accompaniment. The burnished warmth of the leader's muted trumpet is a perfect match for Miles Davis' classic "Fran-Dance," which evokes memories of the iconic trumpeter's visits to San Francisco. "I grew up with Miles as a staple of my musical diet," Henderson says. "When he was playing at the Blackhawk he would stay at my parents' house, so seeing him play when I was a teenager is indelibly printed in my brain. I've always wanted to record that tune." Another piece by a trumpet great follows: Woody Shaw's "The Moontrane." Henderson and Shaw were close friends, meeting shortly after Shaw recorded this piece with organist Larry Young. "I had a little group in medical school," Henderson recalls, "and we used to play that tune. I wanted to record it to pay homage to my friend, the late, great Woody Shaw." The trio of compositions by jazz giants concludes with John Coltrane's immortal "Naima," its achingly beautiful melody here accompanied by a more urgent, steelier tempo. Henderson looks back on his days in Mwandishi with Hancock's "Toys," while "Easy Living" is another old favorite, especially in versions by Lee Morgan and Clifford Brown. The album takes a more exotic detour to close, with the entrancing Eastern European romance of Polish drummer Tomek Grochot's "Dla Juzi." From now on, Eddie Henderson has a ready response whenever his wife chimes in with her regular reminder. With scintillating interpersonal chemistry, tasteful but captivating soloing, and a stellar melodic sense, one spin of this album is enough to prove that Henderson has taken the words Be Cool deeply to heart.